The Unaffiliated voters who voted for Donald Trump en masse don't like the Republican Party much more than the Democrat Party! 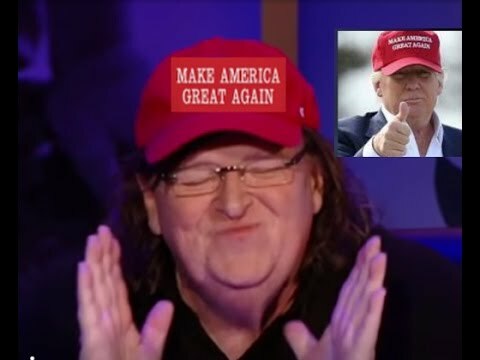 As liberal filmmaker Michael Moore postulated on October 25 in a letter he wrote and explained in a speech and video, millions of disgruntled, disenchanted and disaffected Americans would go into the ballot booth, pull the curtains and then quietly cast a ballot for Donald J. Trump and give the biggest revolutionary middle-finger to the media elites and the political establishment on both sides of the aisle we may have ever seen in American history. As it turns out, Mr. Moore was right. This may be the first time in American history that a true 'Independent' candidate has run for the White House and won. We have been seeing the rise of more and more independent/unaffiliated registered voters in NC for some time now; roughly 1/3 of the people who voted last week were UNAs or unaffiliateds. Donald Trump somehow was able to do what Teddy Roosevelt couldn't do with his Bull Moose Party in 1912 or Ross Perot did with his 'I'm All Ears! 'And 'Giant Flushing Sound!' Party in 1992 and 1996. Granted, both TR and Perot were running as a third candidate in a 3-way race which made it harder but still, Trump did what neither of them could do. President-Elect Trump figured out how to defeat 16 other GOP candidates on their home court in the gauntlet of never-ending primaries and then beat the Democrat candidate, Hillary Clinton on her home court of Michigan, Wisconsin and Pennsylvania to win the Presidency. But he is still way more Independent in his outlook and philosophy than Republican in many ways. What is so 'amazing' and should be so 'alarming' to the GOP in control of the House and Senate? These unaffiliated Trump voters want ALL OF THEM, Republicans and Democrats in Congress and the Senate, to do their jobs, balance the budget, pass economic growth policies, fix health care, protect them from terrorists, shut up, stop blaming everyone else...and then go home and shut up again. The people who elected Trump are NOT in love with the GOP leadership over the past 16 years. If the GOP leadership thinks Republicans can sit back and not do anything for the next 2 years and not work across the aisle with sane and sentient Democrats who want to get things done, these UNAs who supported Trump will turn on them with a vengeance in the mid-term elections in 2018. The Trump voter is not a voter for 100% ideological purity. The Trump voter has just had it with the status quo of nothing happening that directly has helped them lead better lives with more prosperity and more safety and security over the past 16 years really and they voted for 100% political practicality. As in 'get something done!' Anything! On any issue! Shutting down the government is not an option. Not compromising with enough Democrats to get 50%+1 (or 60 to get a bill on the floor of the Senate) is not an option. Not balancing the budget or passing comprehensive immigration laws or stopping radical Islamist terrorism dead in its tracks is not an option. Anything less than bold, principled,practical leadership on the part of the GOP in the House and Senate will lead to a repudiation of both as in 2006. I went to two of these Trump rallies in Raleigh at Dorton Arena on the State Fairgrounds, one last December 2015 and one on Monday before the election. 10,000 people at each one. I did not see one single person I knew from any country club, bank, investment bank, GOP High Dollar Ranger Club or with whom I had gone to Carolina or Duke or that I have seen at any other political event in my entire life. Nobody I had ever seen before at hundreds of Republican political and fundraising events over the past 36 years in North Carolina were at either Trump event. No Mercedes in the parking lot. No Volvos, Range Rovers or Maseratis. No fancy stickers on the rear windows touting their private school or Ivy League affiliation. Lots of NASCAR bumper stickers and flags; hardly any 'Save The Whales' or Greenpeace emblems. Almost all of the people in attendance at both rallies were blue-collar, middle-class people who want to see massive change in Washington who took time off from their hourly jobs and drove to Raleigh from 60-150 miles away in their pickup trucks and old used Caravans packed to the gills. One guy from Lee County brought 27 members of his family to see the next President of the United States of America at Dorton Arena. Wife, parents, grandparents, children, grandchildren, cousins, second cousins and third cousins twice-removed. Met them all. 25 of the 27 had already early voted for Donald Trump. The two that hadn't early voted were going to be escorted by their father to vote on Election Day 'or else'! he said. They want to see their elected leaders in Washington do something big. Like doing their job. Period. Because that is what this election was all about. It is not about some high-faluting philosophical exposition of Fredrich von Hayek free market principles or Reinhold Niebuhrian ruminations on the nature of man or whether the Laffer Curve works or not. It is solely about electing people in our democratic republic to go to Washington and do the dirty but necessary work of debating, arguing and then negotiating and compromise to get a majority of the House and Senate to pass a bill that President-Elect Trump will sign and then go on to the next problem to solve. And President-Elect Trump is a deal maker. Don't ever forget that. So what does this mean policy-wise going forward into 2017? 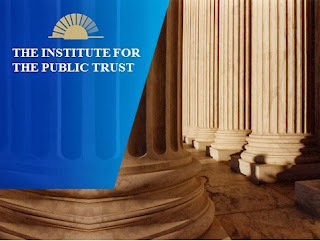 We will list a few things that we are almost 100% sure will happen from Day 1 over the coming weeks to try to help you dig deeper and expound more on the nuances of most of them, especially pertaining to tax, budget and health care policy. Well, it is about to come again. Elections matter. Obviously.